You can now restrict access to your JangoMail email account by IP address. You can specify a range of allowable IP addresses or a single IP address. To restrict access by IP address, go to Settings --> Security --> IP Addresses. Simply enter in a single IP address or a range of IP addresses and designate whether the restriction should apply to the web interface, the API, or both. In the above screenshot, the IP address range 64.56.108.99-105 can access the web interface for this account, while the single IP 72.45.45.8 is the only IP address that can access the API for this account. If there are no IPs entered, as is the default on accounts, then there are NO restrictions on which IP addresses can access your account. As soon as you enter at least one IP range, then that becomes the range from which your account must be accessed. You can now use our Google Maps report to create Follow-Up Email Lists and send Follow-Up Email Campaigns. Earlier, we launched a series of new reporting features that allow you to create and send to an Email List from an Open, Click, and Page View report, as well as from an Unsubscribe, Bounce, and Transactional Email report. We have added to this feature set to allow you to send Follow-Up Email Campaigns or create Follow-Up Email Lists from a Google Maps geo targeting report. There are two new icons in our Google Maps geo targeting report that allow you to Create and Send to an Email List. Click on the image below to see the two new icons. Send more relevant marketing emails﻿ quickly and easily with this feature. Notify recipients who are within a geographic area of a new store opening. Send a sports-themed email featuring a team local to the recipients' area. Create a weather or outdoor-themed email relevant to the recipients' geography. Go to the REPORTS tab and click on the data point that you would like to use to create an Email List. In this example, we are clicking on a Unique Opens report. Click on the (map) link next to the Recipients count. Narrow down your report by using the navigation on the left side of the report, or by clicking on areas in the map and clicking Select. Once you narrow down your report, you will see a list of recipients below the Google Maps geo targeting report. Click on the Create Email List Icon or the Send to Email List Icon to turn this report into an Email List or to send directly to the email addresses in the report. We have launched a major reporting enhancement that makes it much easier to segment reporting data and send on-the-fly email marketing broadcasts to segmented data with one single click. Clicking almost any data point in one of these reports will result in an instant filter being created. The filtered data can then be used to send a new email campaign right away, or to create a new Email List. In this example, we'll create an instant filter on the Web Site Activity Tracking report, a report that tracks a user's movement through your web site after clicking a link in an email campaign. In this example, we're going to use our own JangoMail account -- the one we use to email our own customers and prospects. From the main Reports screen, click the number under "Page Views". This gives you a list of all recipients and the web pages on your site that they visited. To filter down to just the recipients that created a Free Trial Account, or landed on https://www.jangomail.com/FreeTrial-Action.asp, click the URL anywhere in the report. For more information on the two new icons, Send new campaign, and Create Email List, available throughout Reports, see this blog post. 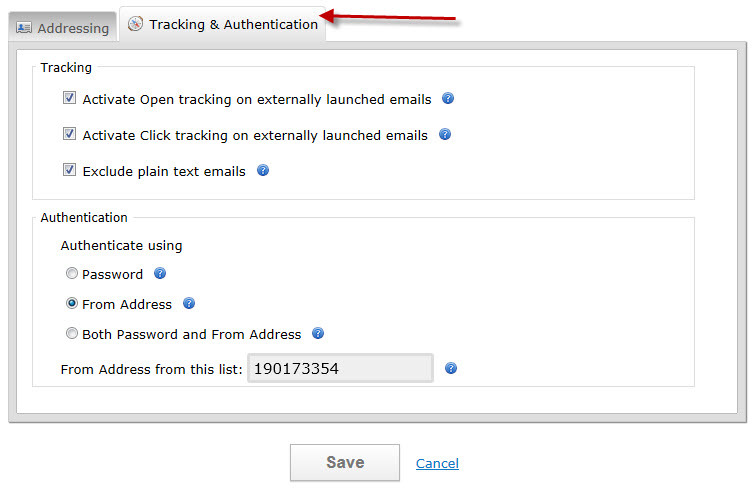 You can also filter an Email List directly from within the Email Lists tab. For more information, see the tutorial Advanced Filtering of List Members. eNannySource is a former email marketing client who recently came back to us because of JangoMail's technological advantages. We got a chance to catch up with Steve from eNannySource to learn more about his decision to return to JangoMail. JM: Steve, we are excited to have you back. 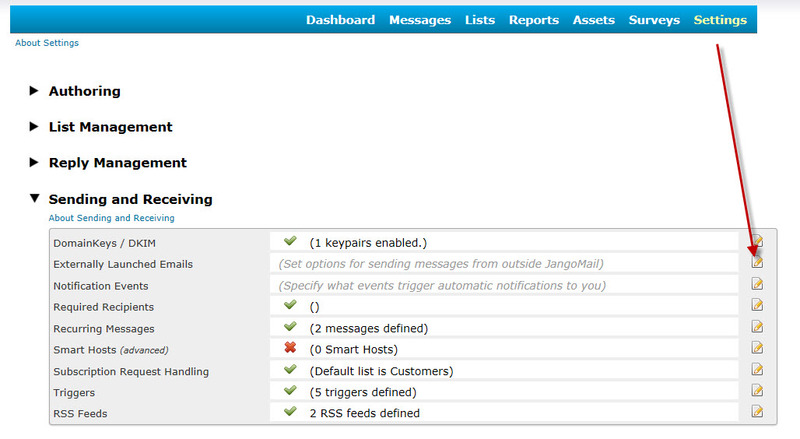 Could you tell us a little about eNannySource and how you use JangoMail? Steve: Yes, eNannySource has been around since 2001. It's a 100% online business that matches nannies with families. We have a database of families and nannies and they use our service to find each other. I have a series of emails that go out to new members on a daily basis. They tell families various things to look for when they hire a nanny. I also send out periodic seasonal email newsletters to past members. For example, I just sent a blast out to families for back-to-school time. Fall is here and there's a big scramble to hire part-time nannies. JM: So what was most important in your decision to come back to JangoMail? 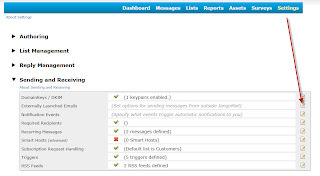 Steve: Most important for me regarding JangoMail is that it has direct database connectivity, so it's really, really easy to integrate with my back end. The email newsletters I send out are triggered by database events, so it takes the developers no time at all to set these things up. Also, when I want to send out an email myself, I'm not a programmer, but if I have a template, I can modify the code to change dates, etc. myself. JM: So the major advantage that JangoMail brings you is the ability to immediately send emails? Steve: Yes, I have to do absolutely nothing. The company that I used to use and the others out there are designed for either companies that have very small lists or static lists. So if you have a church or synagogue website and you want to do a weekly mailing, the list doesn't change much from one week to the next. My list is constantly changing. My whole system is based on events that happen in the database on a daily basis. With the company I was using, it took my developers forever to integrate. We had numerous calls with their developers and ultimately there were so many restrictions on things that we wanted to do that were never restricted in JangoMail. On balance, you guys are head and shoulders above the rest. You really are. I haven't told my developers yet. They will love it. For a brief example, it took weeks of going back and forth with my developers and the email provider's developers just to set up the API interface to send out an email to a new member. There was also no way to deactivate emails when a customer deactivated their account. The emails kept going out due to the lack of direct database connectivity. JM: So if someone was to unsubscribe or bounce, they would not automatically be taken off the list? Steve: If they unsubscribed through the email service, then yes, they would be taken off the list. But, if they terminated their membership on our side, the customer would not automatically be unsubscribed. JM: Can you tell me more about what features you use the most and find the most valuable? Steve: What we use the most is the part I never even saw: the database connectivity. JangoMail seamlessly integrates with us. I can just tell my developer to send this email based on this event for this number of days to these particular members and it was done without having to connect with other developers. Also, if I wanted to go in and send an email I could learn how to use it in a jiffy. It's really easy. I spent days trying to figure out how to use the other email system. They have no way to import and reuse templates. The templates basically have to be designed by the company. Either you as a user have to do some serious HTML modification or the developer has to go in and do an email send. I shouldn't have to get my developers to go in just to send an email. I like your reporting. The way my other company displayed the information in reporting was in such an unusable format that I was constantly having to export it into Excel and then manipulate it so that I could use it. I didn't realize how good Jango's reporting was until I went to this other company. JM: Steve, we are excited to have you back. It's always great when someone returns to us. Steve: I'm glad you appreciate it. You guys will have me back for a while. You now get more bandwidth, for free! JangoMail users sending mass emails with large attachments or otherwise bulky HTML content now get a higher bandwidth allotment, for free. Historically, we've only allowed 20 KB per email message you send before you were hit with bandwidth overage fees. We have now bumped that to 100 KB per email message. This change will lower many users' monthly bill and will allow more flexibility in HTML design options and file attachment options. All new accounts get the higher bandwidth allotment upon account creation. All existing accounts will see the higher bandwidth allotment on their next monthly renewal. Our customers using the SMTP relay can now add a full class C IP block to their list of authenticated IP addresses, instead of adding single IPs at a time. To add a class C block of IP addresses (255 IP addresses), contact our support team, and they can do this for you, as the feature is not yet available through our web interface. We just launched a new feature that makes it easier to send Follow-Up Emails and create Email Lists from previous campaigns. In the past, to send an Email Campaign to recipients who responded to a previous campaign, users had to visit the EMAIL LISTS section. Here users had to write SQL in the Advanced Query Editor to create a list of recipients who opened, clicked or viewed a certain page from a past email. Now users can immediately create an Email List or send an Email Campaign from a report. JangoMail users can filter Opens, Clicks and Page Views reports down to any level to create an Email List or to immediately send an Email Campaign to the recipients in the report. These icons are available in our Opens, Clicks, and Page Views reports for our email broadcast campaigns. 2. Pull up an Opens, Clicks, or Page Views Report by clicking on any number in those columns. 3. Use the Filter to narrow down your report to the recipients who you would like to add to your Email List. In this example, we are creating an Email List that includes recipients who clicked on a certain link. 4. Click on the Envelope Icon and select Create a List. 5. You might be asked to allow scripted windows. If not, proceed to step 6. Otherwise, click on the message on the top of the screen and chose to allow scripted windows. Then click on the Create a List link again. 6. There will be a short wait while JangoMail creates your Email List. When it is ready, it will appear in the section under the Lists tab. 3. Use the Filter to narrow down your report to include only the recipients who you would like to email. In this example, we will use a list that includes customers who clicked on a certain link. 4. Click on the Envelope icon and click Send Email. 5. In a few moments, JangoMail will upload an Email List from the report and direct you to the Messages Page so that you can begin composing your message. We have added Social Media Sharing Links to our Enhanced HTML Editor. You can instantly add buttons to your emails to Share via Facebook, Twitter, Google and MySpace. 1. Click on the new Facebook or Twitter icon in the Enhanced HTML Editor to instantly add a button. 2. Click on the Social Links popup under Message Tools to add HTML code directly to your email. To add sharing buttons directly to the HTML code, copy and paste the provided HTML code into your email. How do social media sharing links work? The Google button brings recipients here. 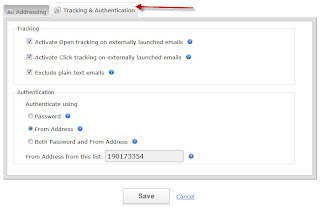 Recipients must fill out the details and Google will automatically link to the web page version of the email.